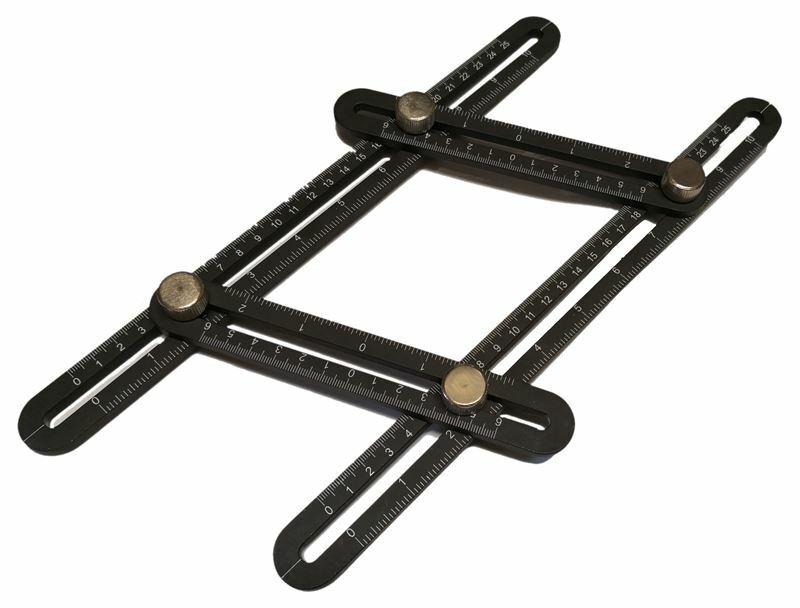 Makes copying awkward angles when performing tasks such as tiling, laying flooring, decking, roofing etc much easier. To copy an angle, adjust the arms to make the angle needing to be copied, tighten the screws, then copy the angle from the tool. Allows for a perfect fit every time.